Get up to $300 off on Surface Pro 4 from Microsoft Store online. Offer valid from December 26, 2016, to December 31, 2016, while supplies last. The current sale is only available for the Intel Core i5 and i7-based Surface Pro 4 models and there’s no Type Cover included. Surface Pro 4 with Intel Core i5, 4 GB of RAM, 128 GB of SSD storage: $799.00, normally $999.00 ($200 off). Surface Pro 4 with Intel Core i5, 8 GB of RAM, 256 GB of SSD storage: $1099.00, normally $1299.00 ($200 off). 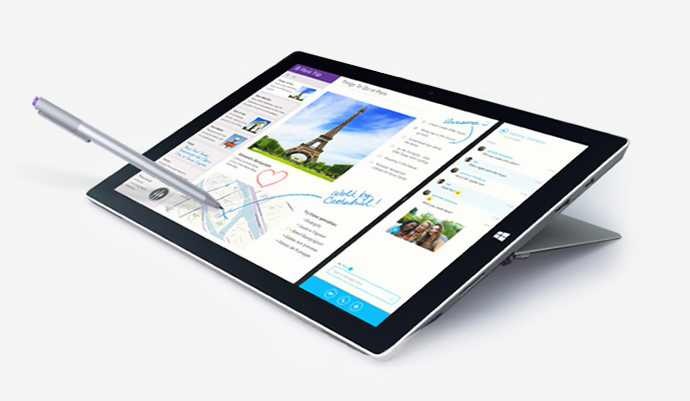 Surface Pro 4 with Intel Core i7, 8 GB of RAM, 256 GB of SSD storage: $1299.00, normally $1599.00 ($300 off). For more details check Microsoft Store here.